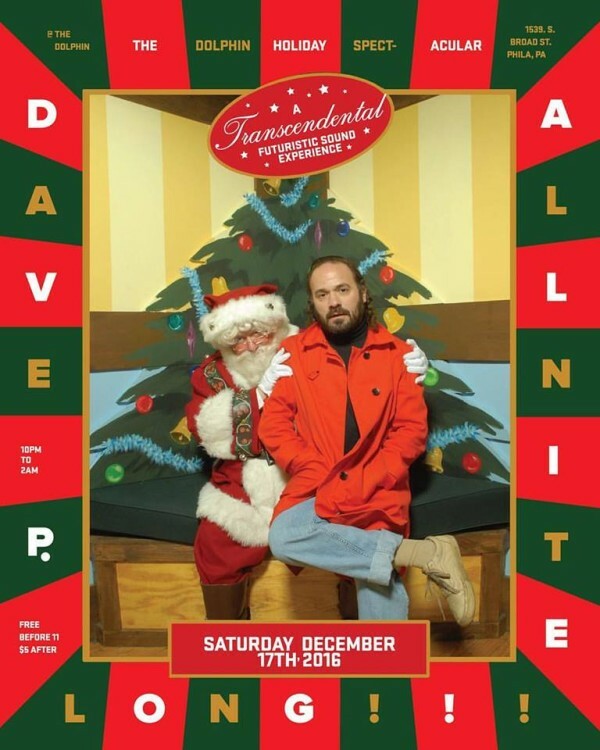 Dave P. returns to The Dolphin to bring you hoiday spirit and futuristic sounds ALL NITE LONG! In THE SPIRIT of the holidays this one is FREE before 11 and there’s OPEN BAR with FREE Tecate from 10-11 !!! Have you ever been to a TRANSCENDENTAL holiday party ??? Well, this will be a TRANSCENDENTAL holiday futuristic sound experience like no other ! with Dave P….ALL NITE LONG! OPEN BAR with FREE Tecate from 10-11! This entry was posted in Event and tagged christmas, dave p, davep, electro, electronic, futuristicsounds, holiday spectacular, house music, indiedance, makingtime, makingtimeisrad, makingtimeradio, philadelphia, techno, the dolphin, the dolphin tavern, xmas by admin. Bookmark the permalink.